Yes. Limited financial aid is available for the summer 2019 term to students who qualify. Summer financial aid may consist of Federal Pell Grant, Federal Student Loans, and Summer Grant. To be considered for summer aid, you must be a continuing Stan State student AND have a 2018-2019 Free Application for Federal Student Aid (FAFSA) on file with the Financial Aid and Scholarship Office by May 25, 2019. If you already completed a 2018 – 2019 FAFSA, you do NOT need to submit another one for summer aid. Summer 2019 is considered the last term for the 2018 – 2019 academic year. Summer financial aid availability depends on whether you have already used your full eligibility amount of Federal Pell Grant and Federal Direct Loans during the Fall 2018 and/or Spring 2019 terms. Graduate students do not qualify for the Federal Pell Grant. Your file will also be evaluated for the Summer Grant eligibility at the time of summer awarding. Registering at the same time for all summer term classes in one or more sessions will facilitate the processing of your financial aid request. Your summer aid eligibility is based on your total units of enrollment in all summer sessions. The Financial Aid and Scholarship Office will begin awarding summer financial aid in late April. All students will be notified of their eligibility via their Stan State e-mail account and their MyStanState portal account. You must be enrolled to be considered for summer aid. Please note that it may take up to 3 weeks to be awarded for the summer term. Students that have graduated Spring 2019 and are attending Summer 2019 to complete pre-requisites for ANY program, are not eligible for financial aid during the Summer 2019 term. Once you have registered for summer classes, you will need to submit your request for summer aid using the Summer Financial Aid Application form. You will be considered for any unused Federal Pell Grant you have left from 2018/2019 academic year. Undergraduate and Teaching Credential students only. You will be considered for the Year Round Pell Grant. You must be enrolled at least half time (6 units) to be considered. Undergraduate students only. Your will be considered for any unused Federal Direct Loan you have left from the 2018/2019 academic year. You must be enrolled at least half time (6 units - undergraduate and teaching credential students, 4 units - Graduate students) to be considered. You will be considered for the Summer Grant. Undergraduate students only. You must submit a Summer Financial Aid application by June 7, 2019. Satisfactory Academic Progress for Spring 2019 will have to be reviewed before we release summer financial aid. Summer financial aid will begin disbursing the week of May 27th to those who qualify and weekly thereafter. Your summer financial aid award may not cover all of your summer tuition fees. Any balance due to the University must be paid immediately. Fees, housing obligations and other costs (except parking) are deducted from your financial aid refund. The amount and type of summer aid you will be eligible for will depend on many factors, including number of enrolled units, grade level, need, and whether you have exhausted your eligibility for federal grants and loans during the regular 2018 – 2019 academic year. 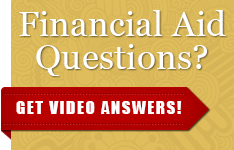 If you are unsure about your exact circumstance, you can always check with the Financial Aid and Scholarship Office. Although we will be unable to process your summer aid on a walk-in basis, you may see an advisor, during regular walk-in hours, to obtain an estimate of your summer aid eligibility. Important! Before withdrawing, contact the Financial Aid and Scholarship Office. If you completely withdraw from the University (including medical withdrawal) before the 60% of your enrollment period, you may have to repay all or part of the award you received. For assistance, contact the Financial Aid and Scholarship Office.